Operating from Mysore and reaching all the major cities in Karnataka, operations in Tamilnadu and Kerala is also getting widely expanded across all the major cities, current growth trend indicates the operational expansion across all the above three states would reach its saturation by end of 2015. 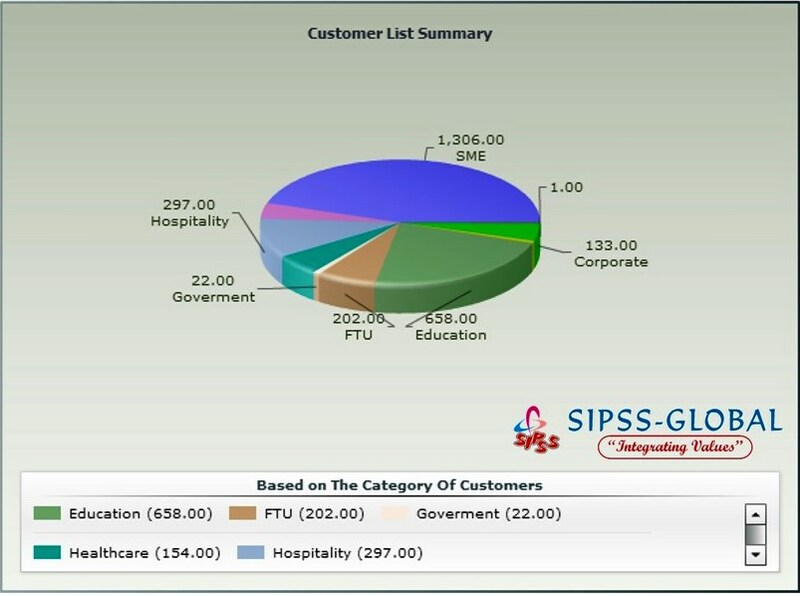 SIPSS-GLOBAL is widely accepted across its customers for its “value” delivery than the products/solution. Major business obtained through the reference from the existing customers. Clearly defined & transparent internal process and focused approach to always keep up the best communication with customers along with innovative employees with proper Market research as well account manageability improving the Management Vision of penetrating more Markets / Segments. In the focus of empowering the educators, we conduct many field programs such as demos, roadshows etc to create the awareness about how technology can empower or help in rejuvenating the learning experience with the proper technology and tools. “Global Technology Conclave” is one among such initiatives. Read more about our Public happenings (Click Here) , We also responsible for the technology awareness creation to all the people- in this regard we have periodical publications of Whitepapers, Technology updates through our Public Blogs, Email Campaigns, Social Connects etc- Use the below Follow us links to get connected & know more….